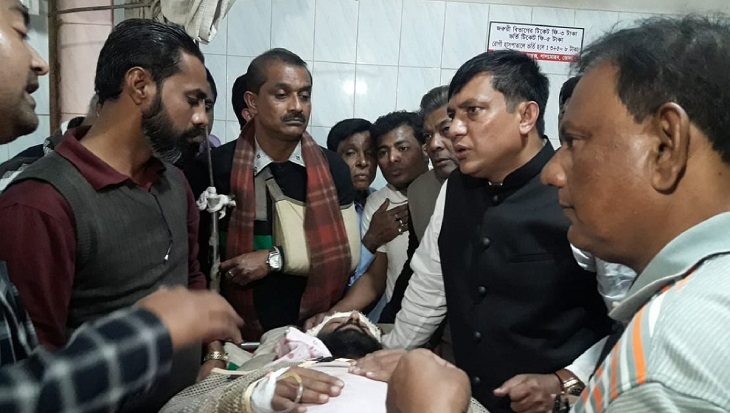 At least 50 people were injured in a clash between BNP and Awami League activists in Lalmohan upazila headquarters on Saturday morning. The injured were admitted to Lalmohan Hospital, said witnesses adding that two motorcycles were vandalized and another one was set on fire. The clash ensued when BNP nominated candidate, its Vice-chairman Major (rtd) Hafiz Uddin Ahmed, went to his area for electioneering on Saturday morning. Meanwhile, tense situation was prevailing in the area but police claimed the situation was normal and additional policemen were deployed to avoid any further unwanted situation. No case was lodged in this connection, said Mir Khairul Kabir, officer-in-charge of Lalmohan Police Station.